“The Lost Island” where a mysterious ring found by Sam and Jack transports them into a world of mystery, magic and dark sorcery. Challenge by an unknown enemy they attempt to free captives enslaved by a powerful spell. Then just when they think they have returned to the world they love and know, they are again summoned in “The Lost Island and Return of the Dark Devils”. Who calls this time, friend or foe? In “The Evil Lunch Ladies” hundreds of helpless children are rendered unconscious. What appeared to be a ‘normal’ school day had turned into a nightmare. George, Louis and Jack mysteriously escaped, now it’s up to them to save their peers. In “The small BIG Mistake” Mr. Harry was the kindest soul you could know. So kind that he managed to find himself in all types of mistaken situations. Yet one day would tell the rest apart. A sunny, happy day for Mr. Harry turned to panic and pain. 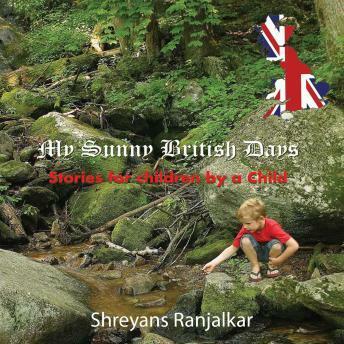 Let the sunshine of “My Sunny British Days” warm your heart and bring back your own cherished memories. Step into the magical lands and experience the miraculous.